Look at these cute swaps!!! 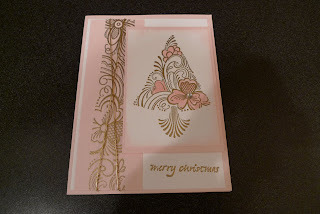 Bev embossed the tree image and greeting with Gold Embossing Powder. So pretty! 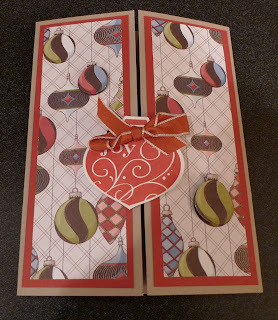 Bella used Letters to Santa Designer Series Paper for her swap. She also cut out some of the Christmas Balls and popped them up with a dimensional. Love it!!! !